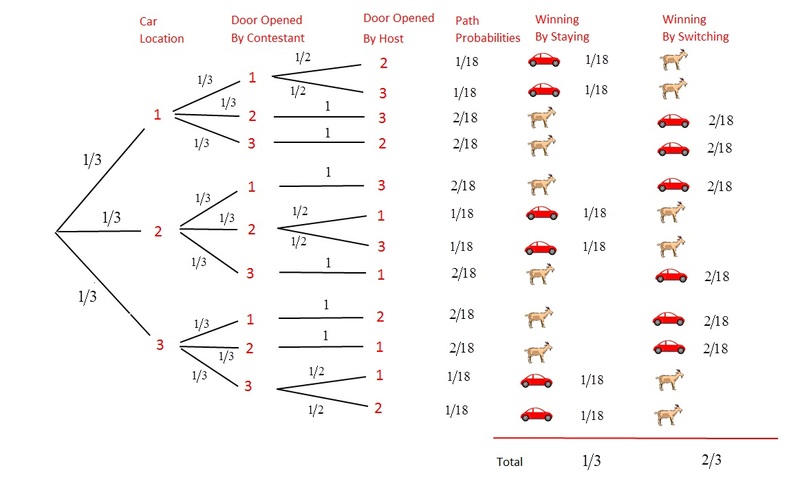 This entry was posted in Classic Problems in Probability Theory and tagged Monty Hall Problem, Probability, Probability and statistics by Dan Ma. Bookmark the permalink. Very interesting problem-paradox, and well presented. 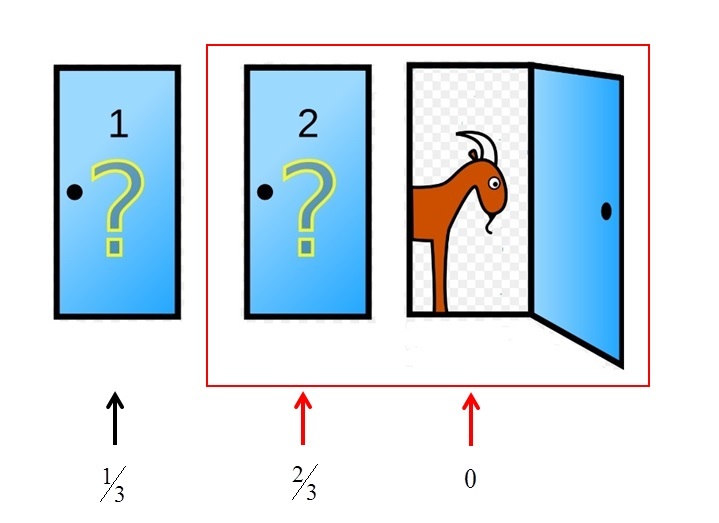 You just left a typo: “If it turns up 2 or 4, then Door 2” in the Simulation paragraph. Typo corrected. Thanks for point it out. I had recently been discussing this brain teaser with family, and afterwards googled it just to see what came up. Anyway, your post is absolutely incorrect. The way you phrase the problem makes the odds 50/50. The question is properly framed as such. 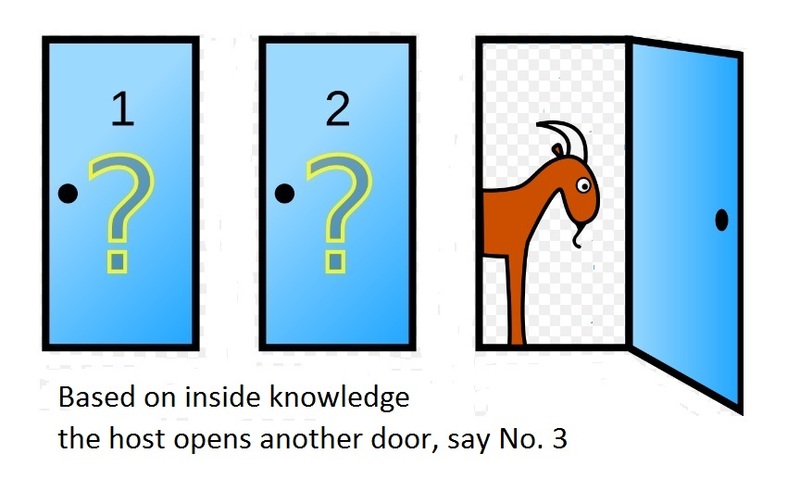 “Monty Hall asks a player to choose one of three doors, behind one of which is a new car. 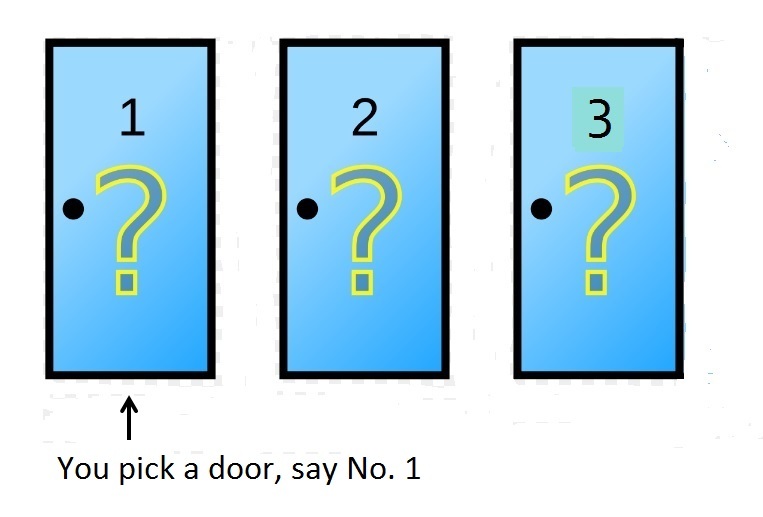 After choosing, Monty WILL open one of the two REMAINING doors, behind which there is nothing. Monty will then ask the player if they want to change their answer. Should they do so?” The key difference is that this description makes clear that Monty can’t open the door the player has chosen, which is the factor that increases the odds to 2/3. This fact isn’t made clear in the original question (or even the description of the brain-teaser) (though it is shown that way in the diagrams of possible scenarios/outcomes). 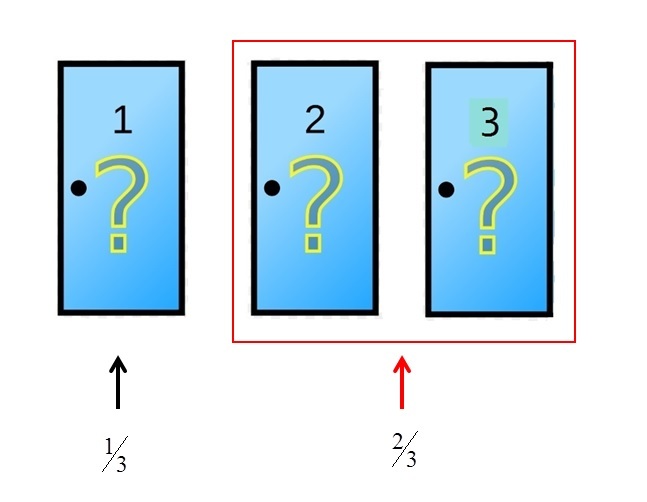 If Monty were forced to flip a coin between the two doors behind which there is no car, and open it, regardless of whether it is the door chosen by the player or not, the odds would then be 50/50 and changing the answer would make no difference.